I like Girl Scouts. 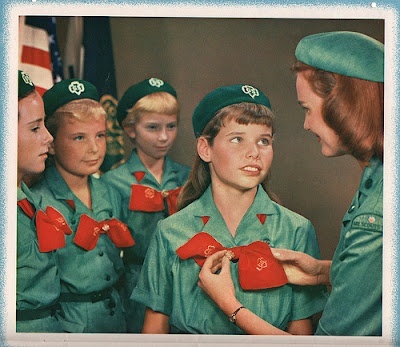 I was a Girl Scout. I loved the cool badges. I just learned about a super cool new badge that makes me happy. 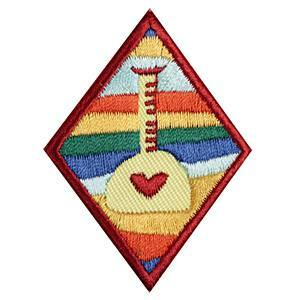 Science of Happiness merit badge. What! A well-being badge. This is just too good to be true. In 2012 Girl Scouts teamed up with Martin E. P. Seligman, Phd. Wonderful. Okay. What does a girl got to do to get her happiness badge? Help others. Learn to forgive. Reflect on family memories. Count blessings. Keep a journal. Hmm? Where else have I seen these ideas? Service. Forgiveness. Family. Gratitude. Journaling. Oh yes. This is good. The research on happiness is good. These are a few strategies of Positive Psychology. I also call them interventions. Healthy intervention strategies. There are more. There is more. More good stuff in the science of Positive Psychology. Happiness. I am so grateful Girl Scouts of America can see the goodness too. "One of Seligman's favorite lines about the goal of positive psychology has to do with increasing the tonnage of happiness on the planet" (Peterson, 2012). More then three million scouts and adult volunteers. That is a bunch of potential for spreading good thinking. Thinking that can build and lift. I love good news. For me this is great news.